Former Connecticut Governor Dannel Malloy ’80 warns of consequences unless more lawyers answer call to public service. 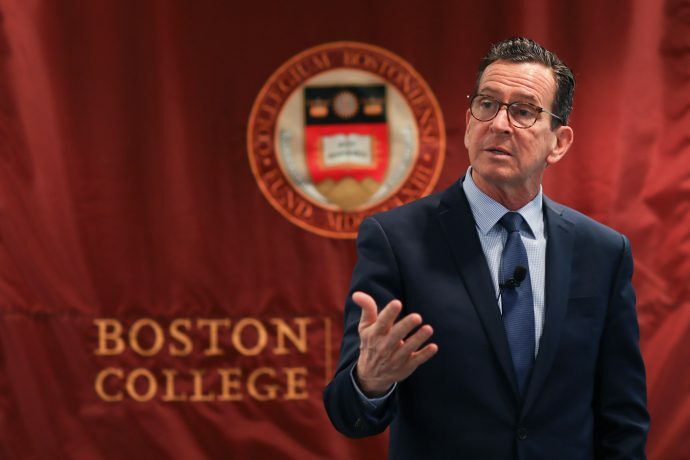 Law schools must produce more lawmakers, former Connecticut Governor Dannel P. Malloy ’80 told more than 120 students, faculty, and staff at BC Law on January 23. Malloy, the Connecticut’s 88th governor who recently left office and returned to his alma mater as this semester’s Jerome Lyle Rappaport Visiting Professor in Law and Public Policy, said not enough attorneys are going into public service to realize their obligations. A student who had to overcome learning and physical disabilities, Malloy earned both his BA and JD from Boston College and started his career as an Assistant District Attorney in Brooklyn, New York. 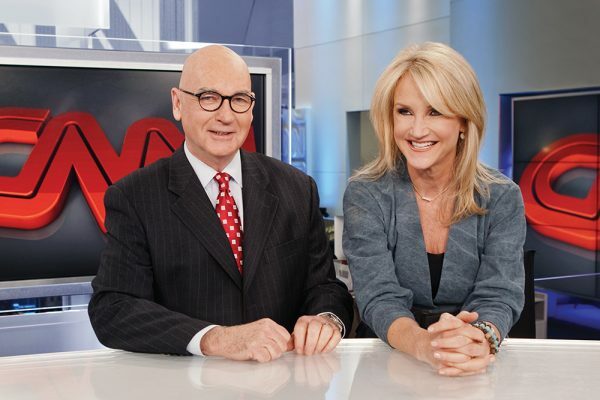 He entered politics in 1995 as the mayor of his hometown, Stamford, Connecticut, a position he held for 14 years. In 2011, Malloy was elected as the first Democratic governor of Connecticut in 24 years. Over the next eight years, he left his mark as a progressive leader who championed divisive issues, including establishing stricter gun control following the Sandy Hook Elementary School shooting in 2012; accepting Syrian refugees; abolishing the death penalty; and implementing tax hikes to stabilize the state’s budget. “You have to be willing to do the right thing,” he said, adding that it was easy for him to do that because he didn’t think he’d be re-elected. He did not run for a third term and left office on January 9. As a former prosecutor, Malloy also has been a strong advocate for criminal justice reform and stressed the importance of creating a correctional system that emphasized rehabilitation over punishment. In a question-and-answer session that followed his address, Malloy also discussed his work to shrink Connecticut’s racial achievement gap; reduce drug possession laws’ disparate impact on people of color and the poor by decriminalizing small amounts of marijuana; and ending homelessness among veterans in the state. Malloy’s talk was titled “A Special Responsibility for the Quality of Justice: A Governor’s Trained Eye in Guiding Public Policy,” and it was the inaugural address of his visiting professorship at BC Law’s Rappaport Center for Law and Public Policy.